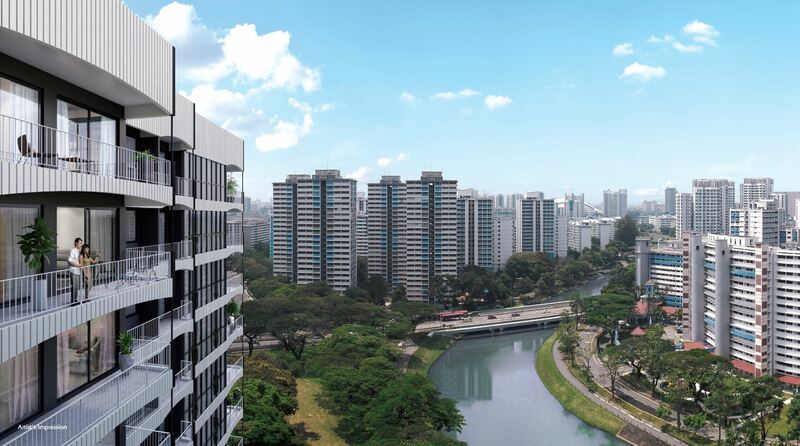 Jui Residences offers buyers the chance to own a freehold condominium on the city fringe in the Boon Keng area, along Kallang River and within walking distance of Potong Pasir MRT station. 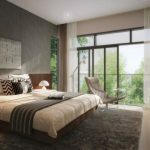 Most new freehold projects tend to be in pricey places like Bukit Timah or the East Coast, so this is a good way of getting your hands on a freehold home in a convenient central location without the super-high price tag. Freehold property has always had a loyal following, not just due to its perpetual tenure, but also because of its higher value long-term. On the secondary market, age will not affect the ability of buyers to get loans. In the enbloc market there is no need to pay for lease top ups in future. 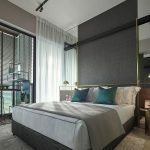 On top of that, this will be a quality lifestyle property that comes with its own iconic conservation building that is a noteworthy example of the Singapore Art Deco tradition from the 1950s. 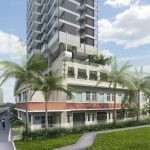 Jui Residences is being developed by Selangor Dredging Berhad (SDB), who purchased the site in Serangoon Road from the National Aerated Water Company in December 2016. The National Aerated Water Company operated a bottled soft drinks factory there till the 1990s, distributing popular soda pops such as Sinalco, Royal Crown Cola, and Kickapoo Joy Juice. The word ‘Jui’ in Jui Residences can be seen as a nod to its antecedents. In the local dialect of the place, soft drinks were called “Bok Jui”, the ‘jui’ meaning water. This place is also by Kallang River, so again, Water. 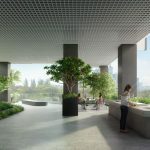 SDB, while not very widely known in Singapore, is an award-winning developer known for niche, one-of-a-kind properties, with innovative designs and concepts. It is in their manifesto that every product they create must be carefully crafted to deliver an extraordinary living experience. This is seen in SDB’s projects here in Singapore and across the Causeway. 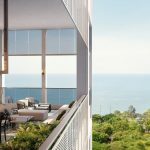 Including ones like the FIABCI Prix d’Excellence award-winning Hijaun on Cavenagh, Jia at Wilkie, By The Sea in Penang, and 20Trees and Dedaun in KL, to name a few. 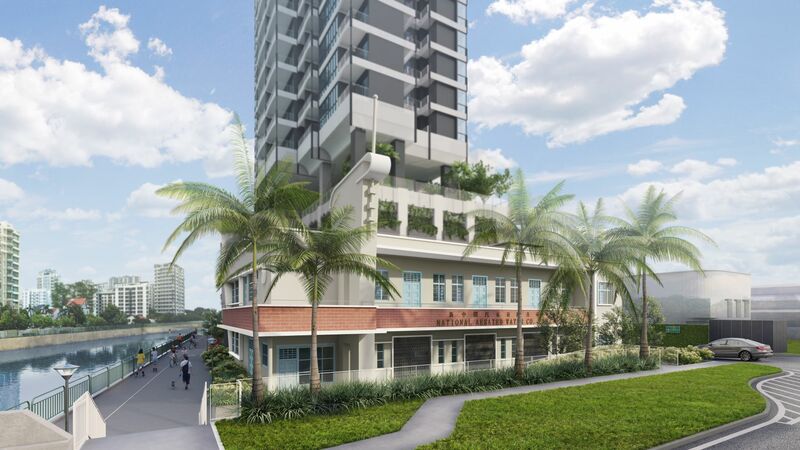 Completed in 1954, the Art Deco style building on the site of Jui Residences that was the former bottling factory, is a well-known landmark along Serangoon Road. It is one of the few structures left that reflect the area’s rich industrial past, and contributes to the heritage of Kallang River. Recognising its heritage value and role as a landmark in the area, and the memories it holds for the community, SDB supports the conservation and is working with URA to retain the building as part of Singapore’s national history. 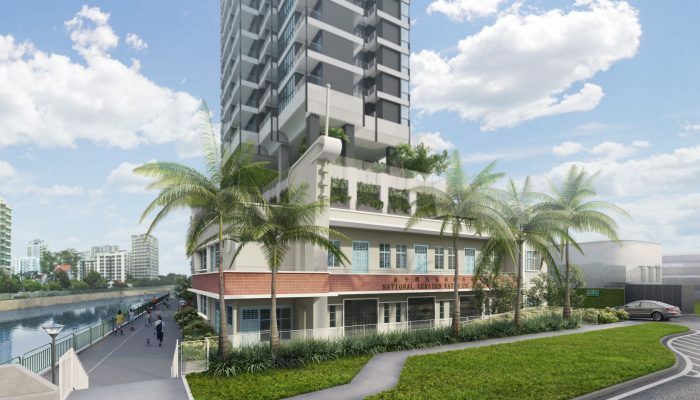 The two-storey L-shaped Art Deco style building facing Serangoon Road will be conserved. 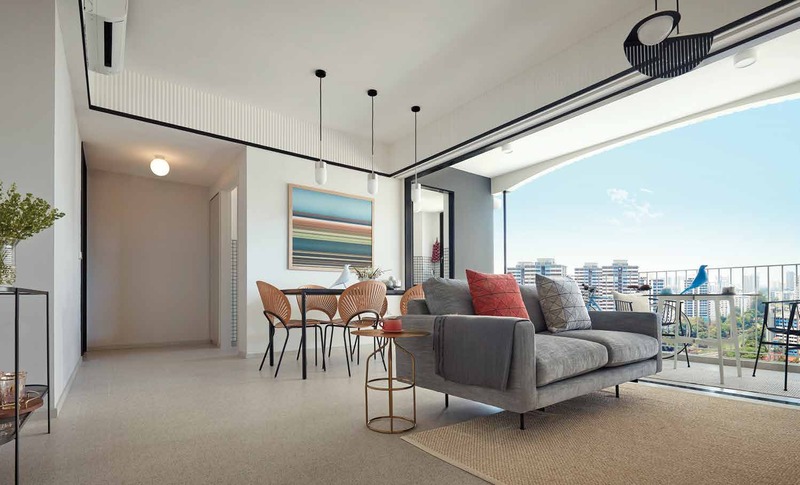 This includes the signage tower, the Art Deco timber transom panels, the balcony with fair-faced brick parapets, and the concrete sunshading ledge that spirals out of a circular window. 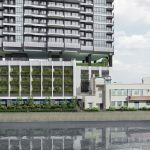 The conserved building will be integrated into the new Jui condo development and brought to life through adaptive re-use. URA will work closely with SDB to guide the reconstruction. 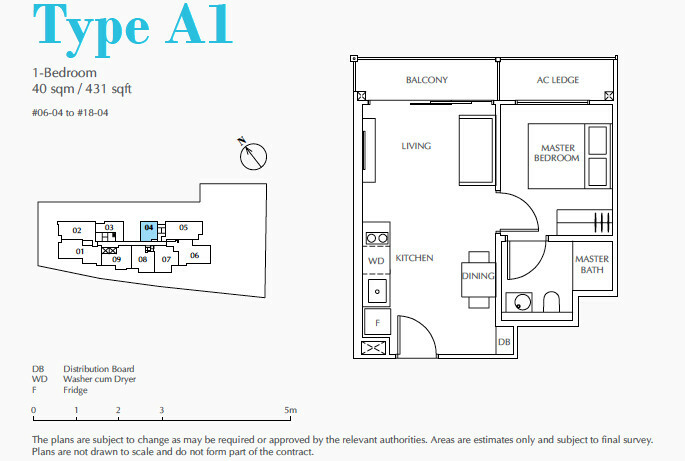 The Jui Residences floor plan brochure is now available. 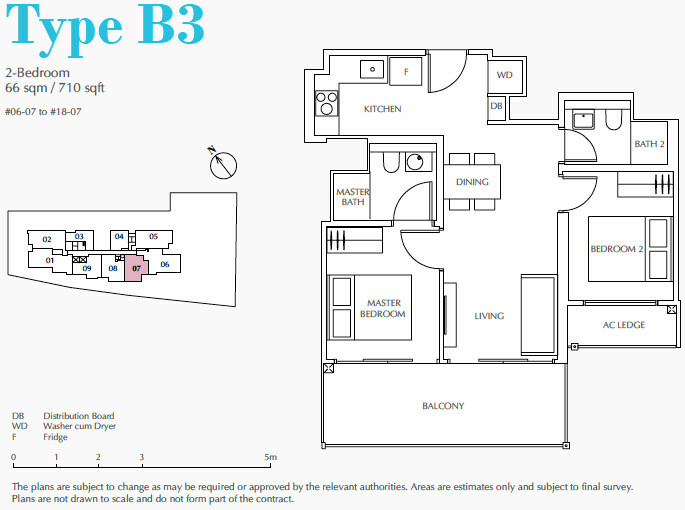 Below are 3 example floor plans. Kindly drop us a note via the Contact Form if you would like to have the complete set of Jui condo floor plan brochure emailed to you. The homes at Jui Residence are modern minimalist, curated and crafted, and brought to life by award-winning architects CarverHaggard of London. 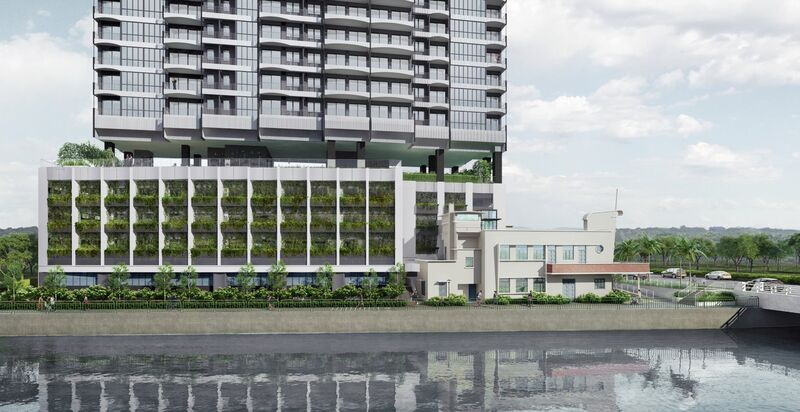 The design pays tribute to its art-déco heritage through vertical flutes on the facade, arched detailing of the balconies, and wide inset curves at the podium block. 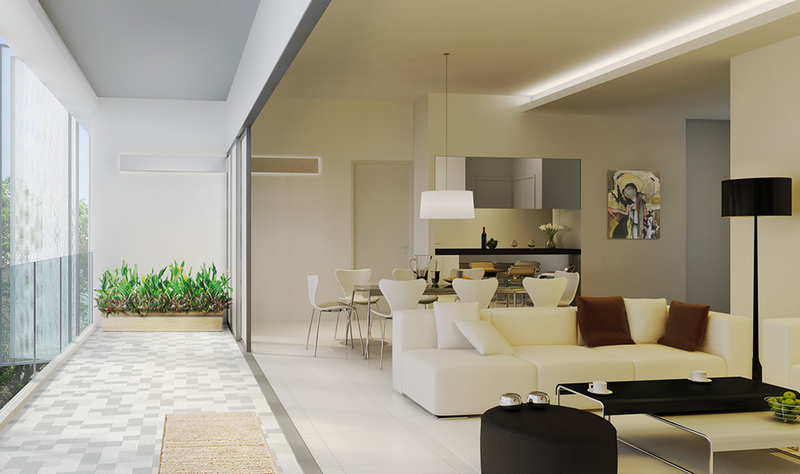 Ceiling height of 2.85m for main areas like living rooms and bedrooms; 2.4m for kitchens, corridors, bathrooms. Fully appointed bathrooms with fittings from Duravit & Grohe. All white goods provided in kitchens from Bosch. To maximise use of balcony space, there is an approved balcony screen that can be installed. 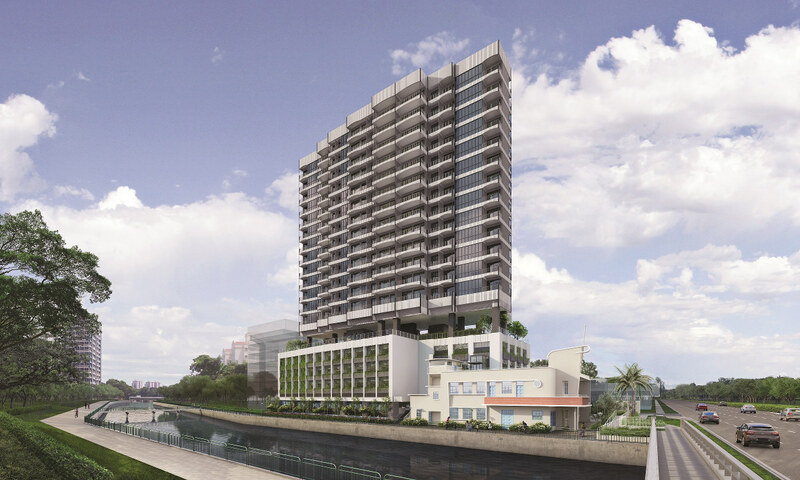 The Jui Residences site sits at a corner of Serangoon Road with Kallang River. 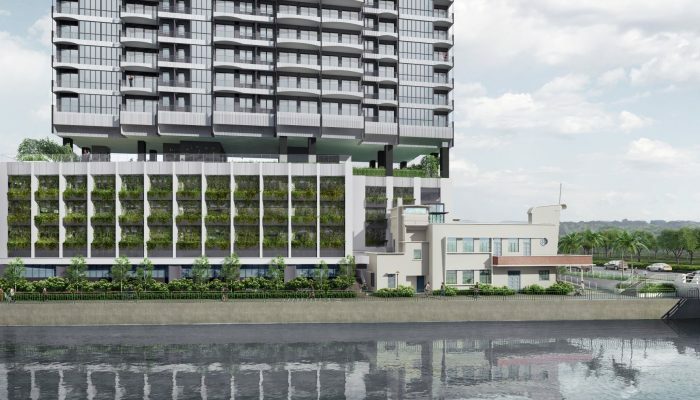 The gazetting of the National Aerated Water Company building on the site is one of the best things to happen to it. 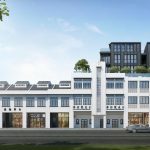 As this building fronts Serangoon Road, it will shield the residents from the heavy traffic along that road. Behind that, on the south-west of the Jui condo site is Kallang River. Along with the gentrification of this area, Kallang River will be spruced up. The land around Jui Residences is zoned mainly residential, a mix of low and high rise, with a couple of sites having shops at ground level. A Park Connector (PCN) runs along the bank of the river, going past the Jui Residences site. 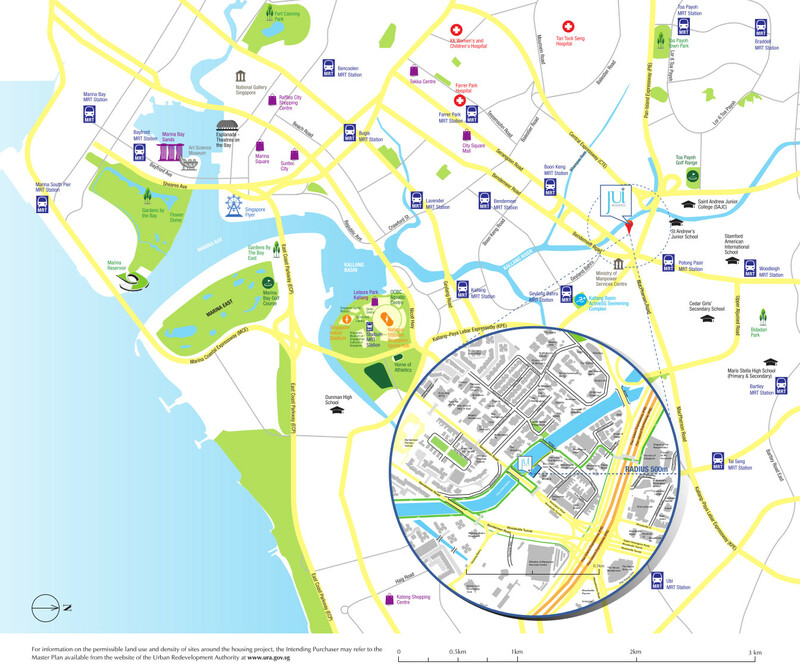 This PCN actually links all the way to Marina Bay, so if you like, you could cycle down to the bay and the financial district. 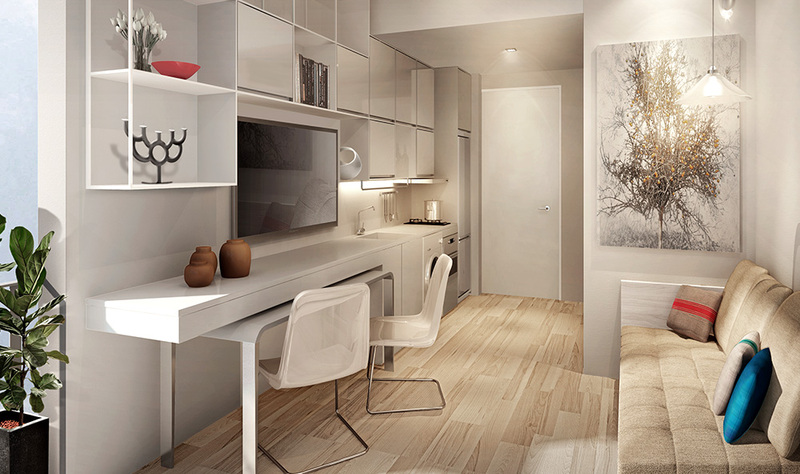 The Jui Residences showflat is now ready for viewing appointments. 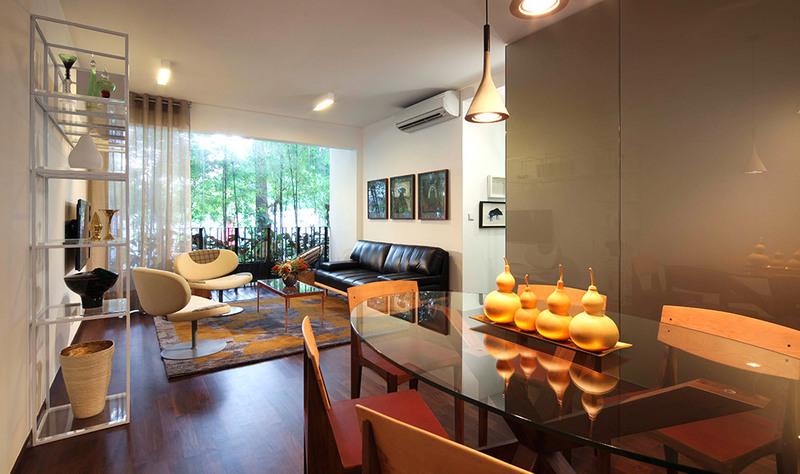 Please let us know via the Contact Form if you wish to view the Jui condo showflat. 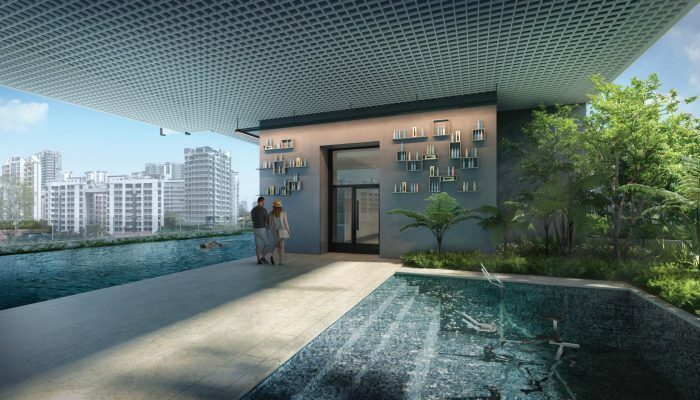 The Jui showflat will showcase a 3 bedroom unit of type C4, 1001 sq ft. 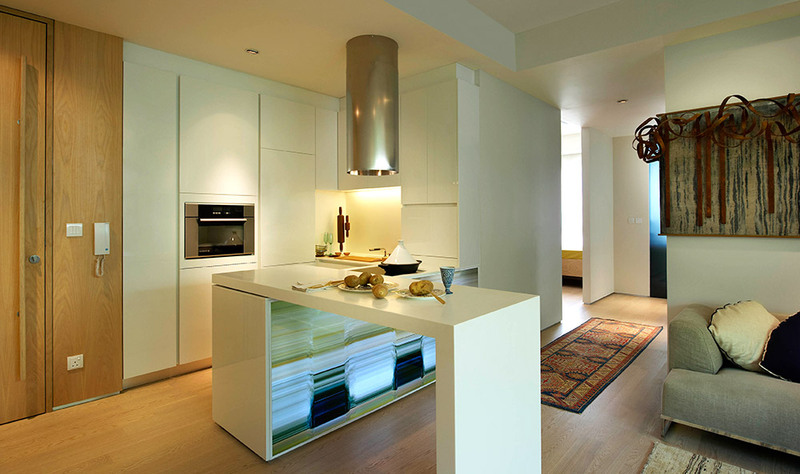 This showflat is unlike most others, in that it is very simply done, hardly dressed up by comparison. It is something you could easily replicate for yourself, at little extra cost after you move in. The Jui Residences price status as at 10 November 2018 is listed below. From $1,7xx PSF which is one of the lowest on the market for a brand new freehold condominium on the city fringe, within walking distance of an MRT station. Kindly drop us a note via the Form below if you wish us to keep you posted on detailed Jui condo pricing once it is available. 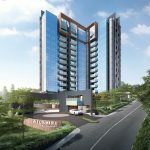 The Jui condo site was acquired by Selangor Dredging Berhad (SDB) from the National Aerated Water Company via Tiara Land, a unit of Champsworth Development that is a 50% owned associate company of its subsidiary SDB International. 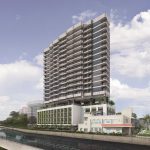 SDB paid $47 million for the freehold site. 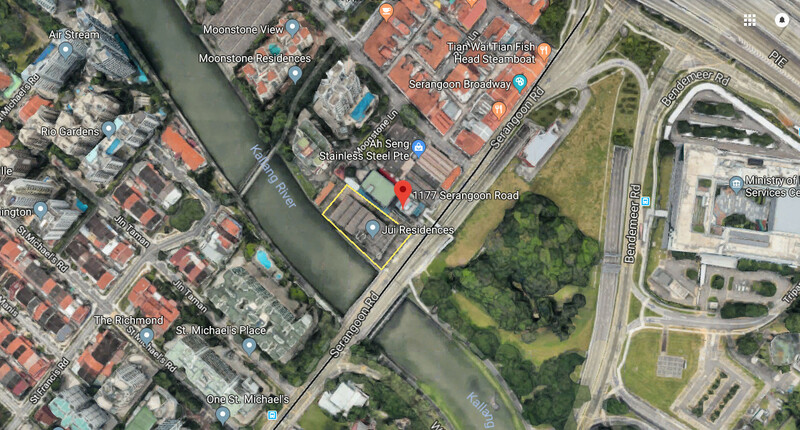 The tender attracted healthy interest from foreign and local developers due to its freehold status, direct frontage onto Kallang River, and city fringe location within walking distance to Potong Pasir MRT station. 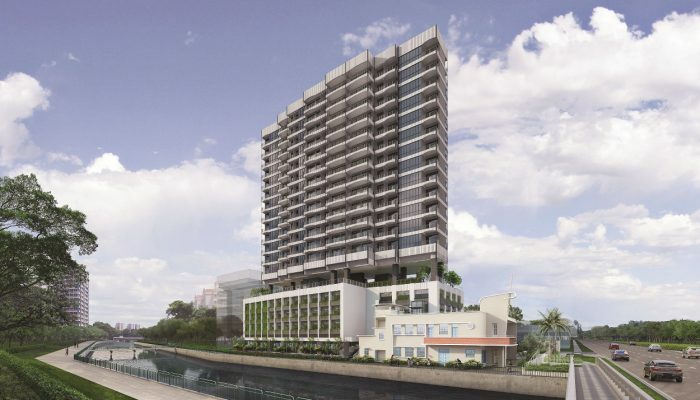 On top of the $47 million land cost, SDB paid another $22.66 million development charge to URA, to change the land zoning from industrial to residential. 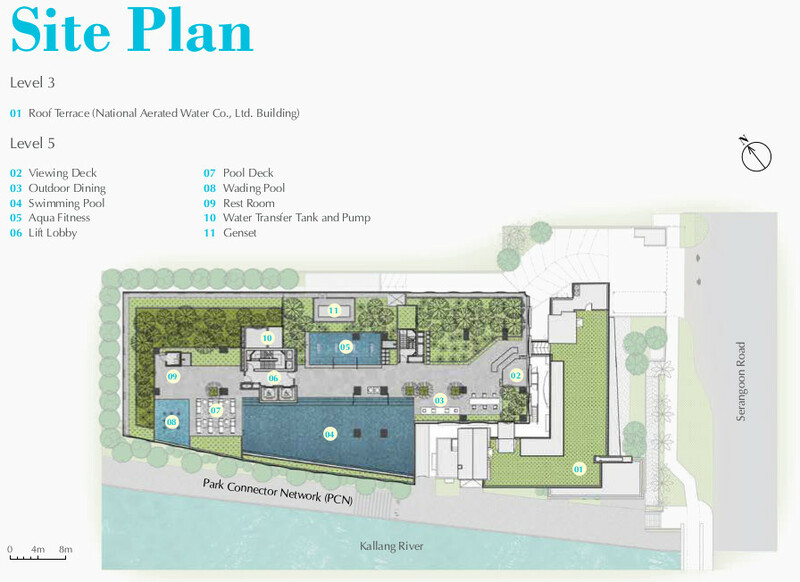 The total outlay translates to a land rate of S$785 per square foot per plot ratio (PSF PPR). Given development and construction costs of about $600 PSF PPR, break even costs work out to around $1,400 PSF PPR. 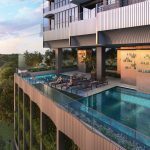 Jui Residences Singapore is being developed by Selangor Dredging Berhad (SDB), a forward looking quality lifestyle property company. SDB began in 1962 as Selangor Dredging Limited. In 1964, the company changed its name to Selangor Dredging Berhad upon listing on the main board of the Kuala Lumpur Stock Exchange. In its first two decades, the company’s sole business was tin mining. However starting from early 1980s, SDB began to diversify operations. The company completed its first development, Wisma Selangor Dredging in 1985, and has never looked back since. 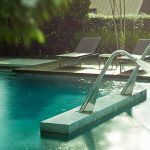 Today, SDB is a company that is fully focused on real estate activities – hotels, management & leasing, and its core business activity of property development. It has earned a reputation as an award winning developer with quality niche products. 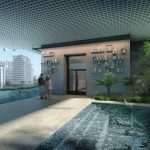 It also believes in investing in environmental sustainability, and keeps this in mind in the design of all its projects. SDB’s list of awards can be seen at this page (opens in new window). The organisation has been involved in many iconic projects in Malaysia and Singapore. Some of its work in Singapore include Jia at Wilkie Road, Village @ Pasir Panjang, Gilstead Two, Hijauan on Cavenagh, and Okio. Other work can be seen at their products page. Location. 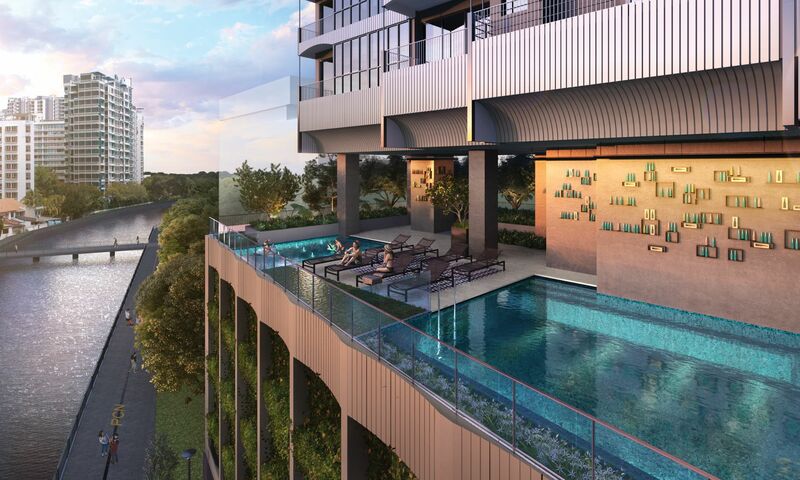 The Jui condo location is on the city-fringe, up the road from Potong Pasir and the upcoming Bidadari Estate. 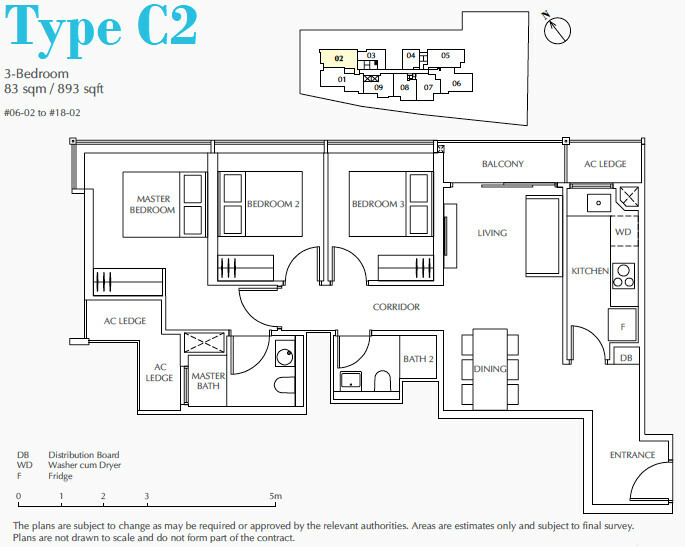 Residential developments around this area are popular because of their proximity to the city centre and amenities. 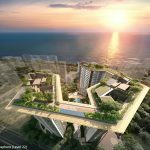 Previous launches around this area – such as Poiz Residences, The Venue Residences, Sturdee Residences – have all sold out. Shops, Banks, F&B, Supermarkets. Quite a number of shops and F&B outlets around the Jui Residences location. We have the shophouses around Moonstone Lane, The Venue Shoppes 400m away, the food haunt of Tai Thong Crescent behind Venue, and Poiz Centre at Potong Pasir MRT station, 650m down the road. The Venue Shoppes is a small shopping centre that offers 28 retail units, while Poiz Centre houses 77 shops and 7 restaurants. 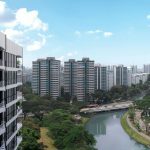 Behind Poiz Centre, we have Potong Pasir Community Club, an NTUC Fairprice supermarket, a KFC fast food outlet, a POSB Bank, and a liberal smattering of shops and coffee shops. Not forgetting that this place is a short drive from Geylang, with its vibrant night scene & wide choice of hawker stalls that open far into the night. Lifestyle Amenities. 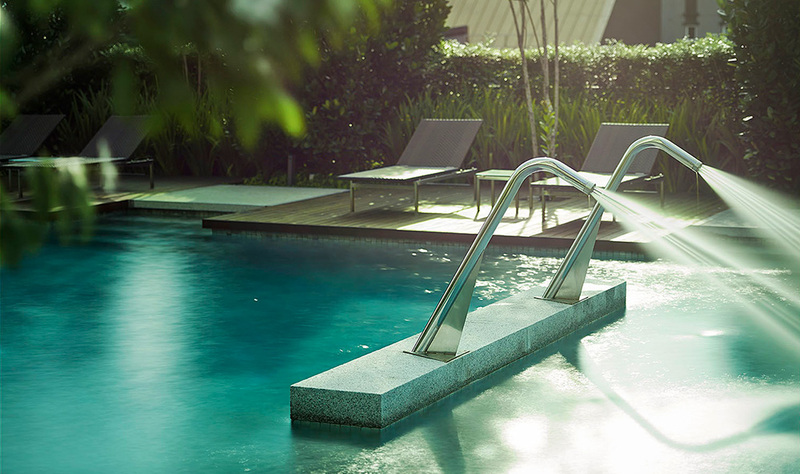 Being on the doorstep of Bidadari Estate means that Jui Residences residents get to enjoy its amenities too. 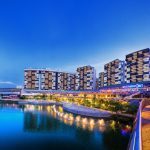 Like Woodleigh Mall, and especially the greenery of Bidadari Park and Alkaff Lake, and the Bidadari Heritage Walk and Greenway. Schools. The Jui Residences location is within 1km of the St Andrews Junior school and its attendant secondary school and Junior College. It is also within 2 km of Cedar Primary and Secondary, Pei Chun Public School, and the Stanford American International School. Nearest MRT Station. 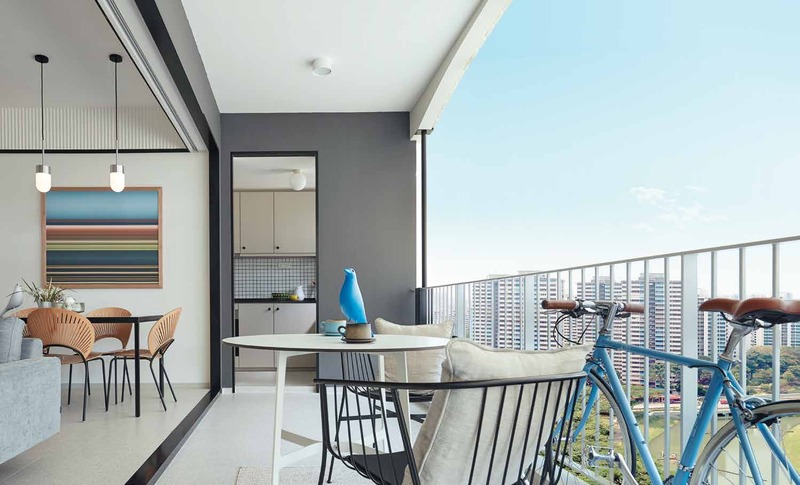 The closest to the Jui condo location is Potong Pasir MRT station on the North-East Line, a 650m or roughly 9 minute walk away. 10 minutes if you include waiting at the traffic light junction. Accessibility. This place is pretty central. 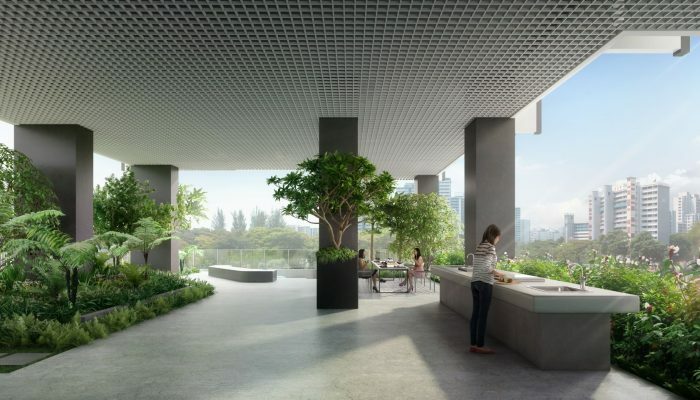 It is roughly a 10 minutes drive to Orchard Road and the Central Business District. The exits to the Pan Island Expressway (PIE) and Central Expressway (CTE) are less than 3 minutes drive away, which makes it rather convenient for getting to just about anywhere else.